Get your goCards at News Extra Springwood Mall! At News Extra Springwood Mall we can issue new goCards and top up existing cards. There are four different types of goCards. 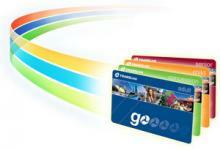 Please check the Translink Website if you are unsure as to the correct card for yourself.